This level has medium difficulty. 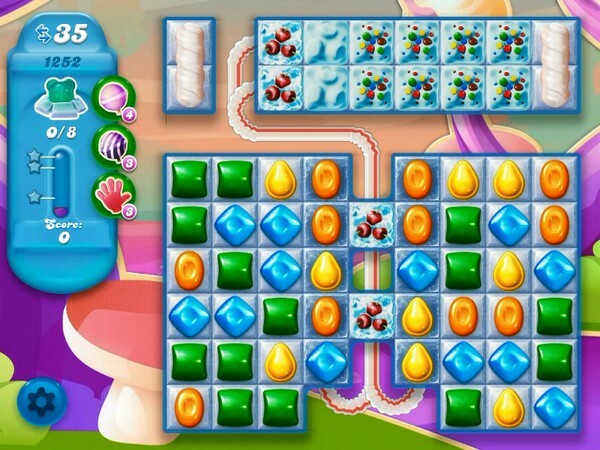 For this level try to play from medium part of the board and make special candy. Combine special candies with each other or play near to snow blockers to break them. This level must be marked as difficult! I play 2 days now, with making special candies and fishes and not already through. I watched several videos and read the tips, but it doesn’t work.